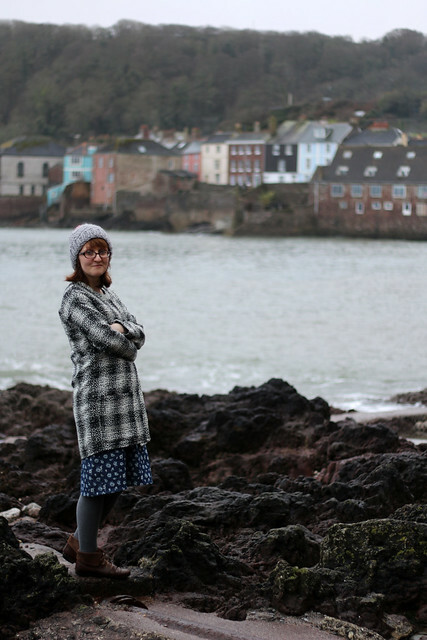 When Rebecca invited me to take part in the World Book Day Blog Tour, after saying YES!, the first decision was what children’s book would inspire my project. Anyway, none of the books I loved as a kid immediately suggested a project to me. Instead I though of my favourite children’s book as an adult, Antoine de Saint-Exupery’s The Little Prince. I think I was a teenager when I first read The Little Prince, while on holiday with my family in France. 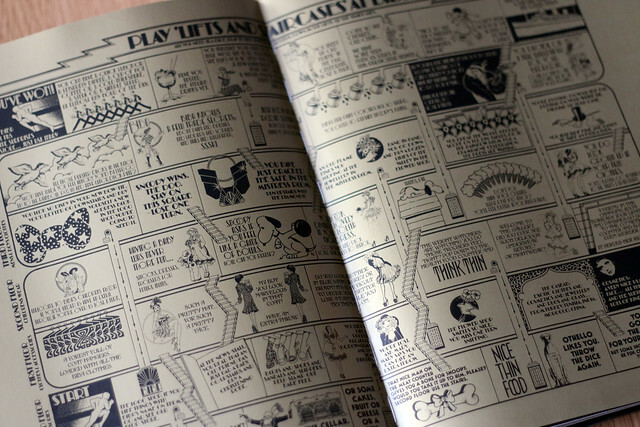 Me and my brother both immediately loved it and I still read it regularly – my favourite section is the first couple of pages where the author describes his drawing of a boa constrictor eating an elephant, which every adult mistakes for a drawing of a hat. 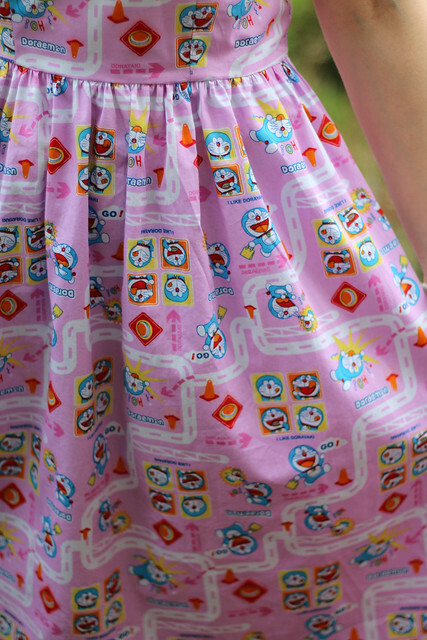 So, I planned to embroider a garment with an image from The Little Prince (and may still get to that at some point), when I spotted a favourite series of manga in my bedroom – Doraemon – and remembered this fabric. 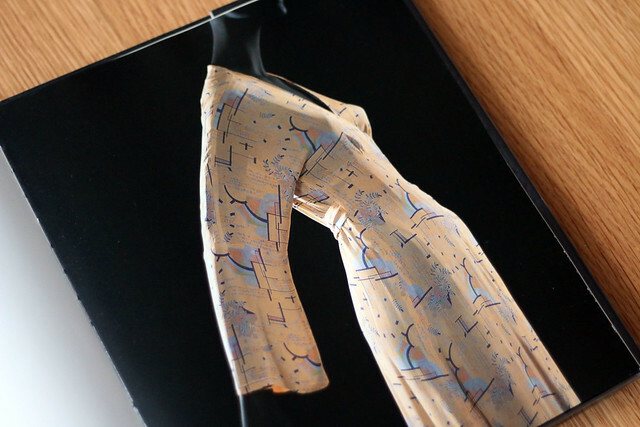 This project is a prime example of how an online challenge can spur on sewing activity. 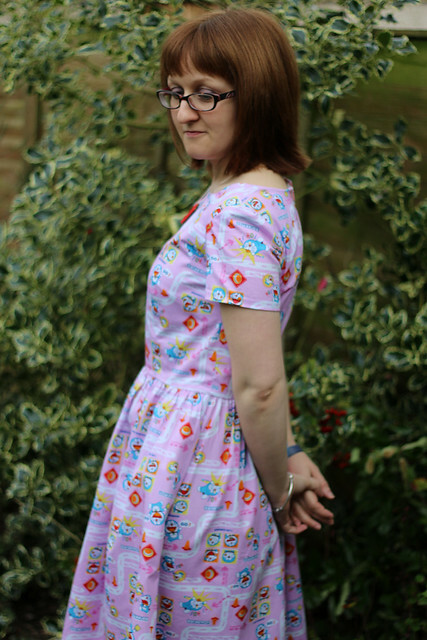 I bought this fabric at the London meet-up organised by Rachel in 2014, immediately decided to make an Emery Dress with it and ordered the pattern. 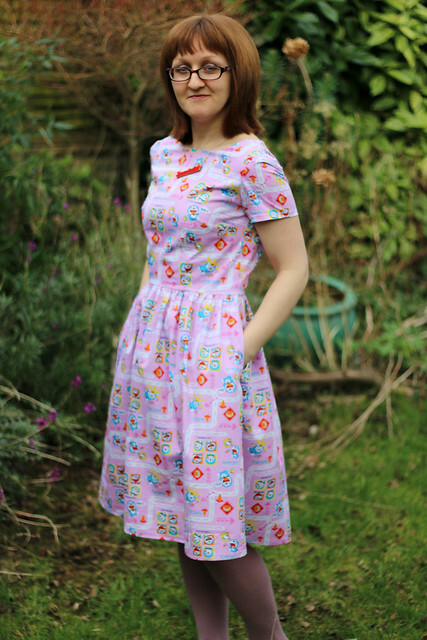 Both fabric and pattern have sat in my stash waiting to be made for the last two years. Doraemon has been a staple of children’s TV and literature in Japan since the 70s. He’s well known around the world, but has never really taken off in the UK (or, I suspect, the US, since manga and anime available in the UK are usually produced in the US). As far as I know, the Doraemon manga has never been published in English – however, in both Japan and China, ten bilingual volumes of the manga are published as tools for learning English. When I visited China a few years ago I bought the full set. The basic premise of the manga is that a lazy kid (Nobita) is visited by a robot cat from the future (Doraemon), who is sent back in time by Nobita’s descendants to improve his future by preventing him being lazy. What makes the manga so appealing are Nobita and Doraemon’s characters and the relationship between them. Despite the fact that Doraemon is a robot on a mission, he really just wants a quiet life and is easily pestered into assisting Nobita to be lazy/cheat/one-up school bullies, all of which eventually back fire, of course. 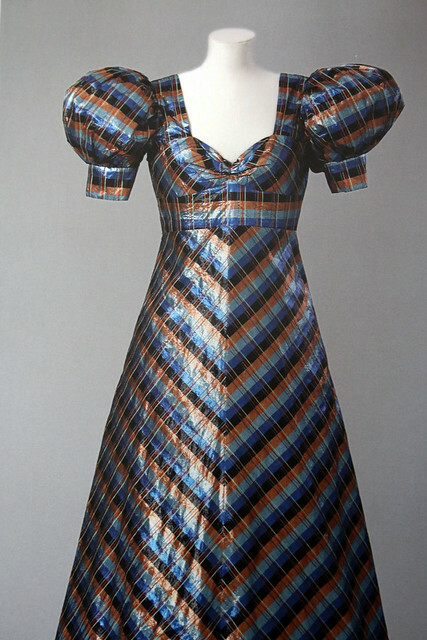 The dress is an Emery, graded between a 2 at the bust and 6 at the waist/hips. 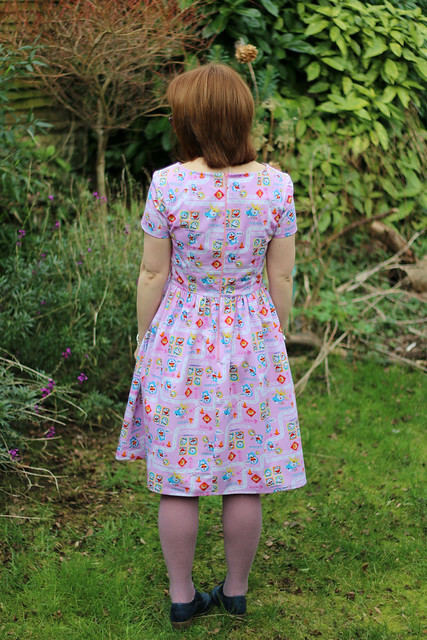 I’m really pleased with the fit and will be making more – it definitely needs a petticoat for full effect though. The only change I made was using a standard zip as opposed to concealed, which was because I asked Phil to buy it – he remembered that it needed to be pink and 22″, but forgot concealed. Close enough I reckon! As a side note, my favourite random Doraemon facts are that he holds a position (anime ambassador) in Japan’s Foreign Ministry, and that the first versions of Doraemon published in Hong Kong were pirated and he was renamed Ding-Dong! Rebecca has organised four giveaways as part of the blog tour, the full list of prizes and rafflecopter entry links can be found here. 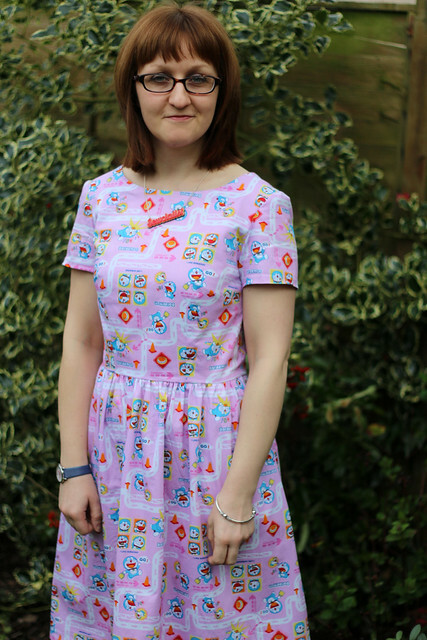 Categories: Sewing, Uncategorized | Tags: #wbdblogtour, Christine Haynes, Doraemon, dress, emery dress, pink, world book day | Permalink. I’m off on holiday soon (to Reykjavik/New York/Boston), so work is busy at the moment as I try to wrap things up , and – of course – I’ve filled my evenings trying to make new garments/accessories for my holiday. I’ve knitted a new hat (I just have the pompom to attach) and have made good progress on a Clare Coat. I still have a long to-do list, but I find that as a holiday approaches the list items tend to look less and less essential! My main goal is not to be frantically making the finishing touches to my coat in the taxi to the airport. 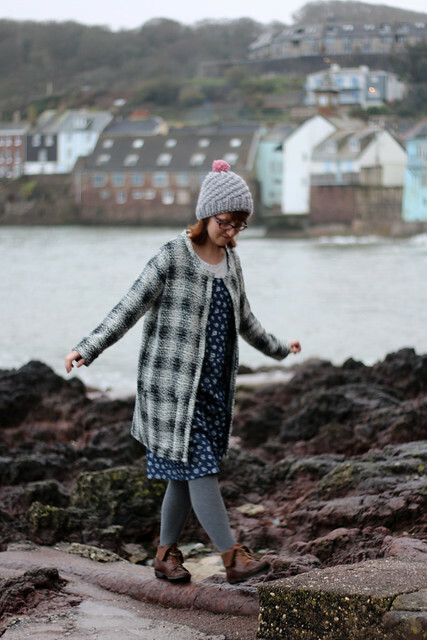 As it’s been a busy week and I should be heading to bed, this is just a quick post to note that there is a short post by me on the Paprika Patterns’ blog, on the subject of making the Opal Cardigan pattern in a woven fabric. 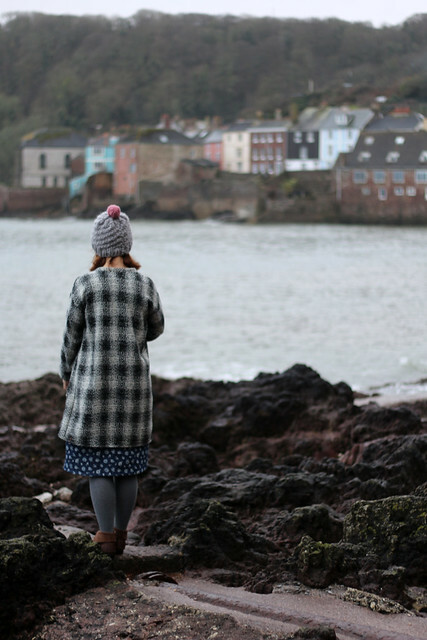 I’ve already blogged my Opal Cardigans here, but couldn’t resist posting these photos taken during a recent weekend trip to Cornwall. These photos were taken in Cawsand and Kingsand, where my parents were renting a house for a week. This is actually close to where my brother will be getting married this time next year – expect lots of photos then! 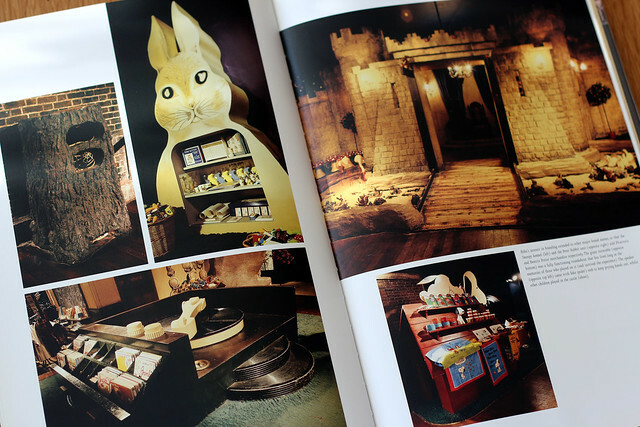 I’ve mentioned previously that I’m a big fan of Pom Pom Quarterly magazine and their podcast. 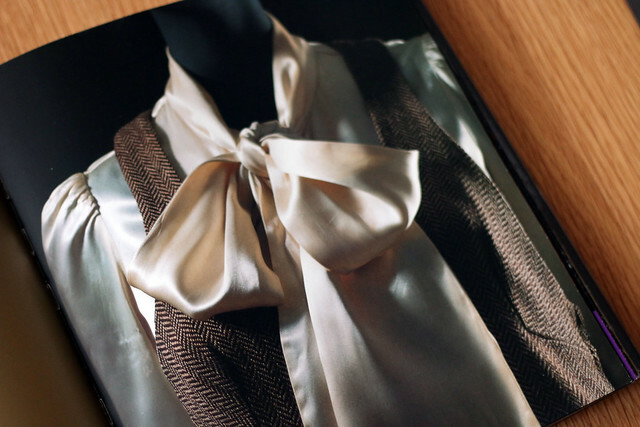 The Autumn issue was my favourite from last year, but I also really enjoyed the winter issue. 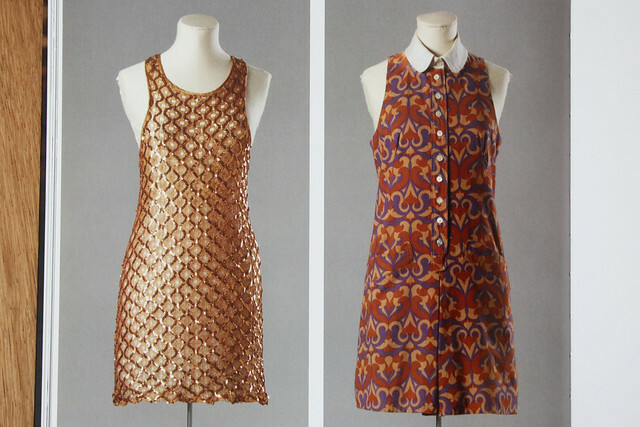 Each issue has a theme, and the theme of the winter issue was Biba. 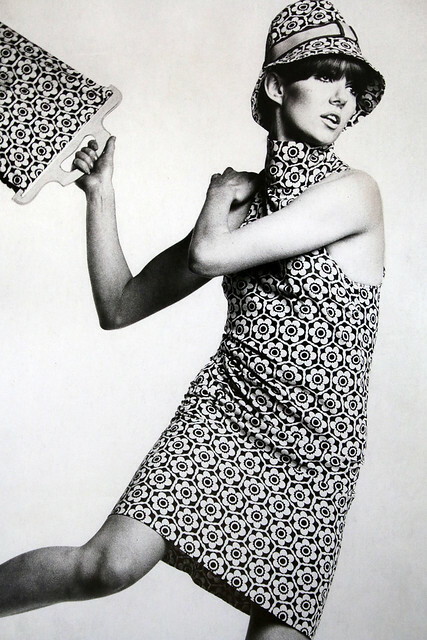 I have a bit of a Biba obsession. 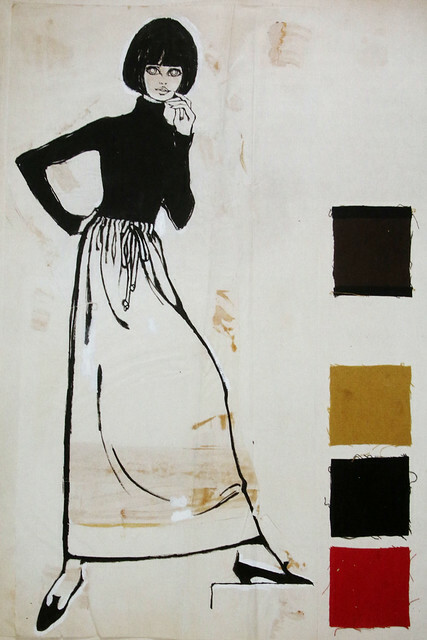 I love the Biba aesthetic, both the clothing and Hulanicki’s illustrations. Hulanicki’s autobiography is a favourite of mine, I previously reviewed it here. 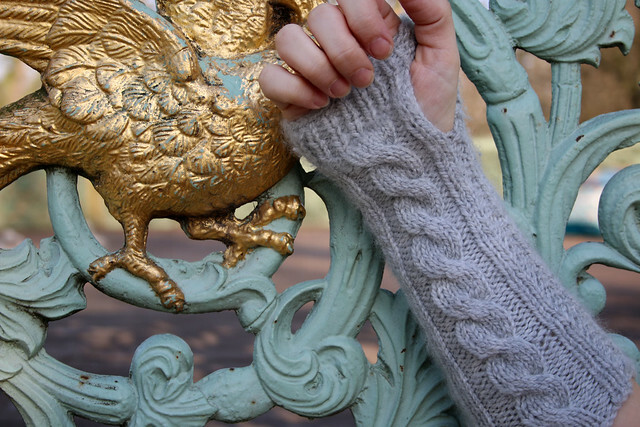 I haven’t included any pictures here from the Biba-inspired issue of Pom Pom Quarterly, since you can see all the patterns on Ravelry. Instead, pictures below are from three books about Biba I borrowed from the library at work (Welcome to Big Biba book by Thomas & Turner; The Biba Years by Barbara Hulanicki & Martin Pel; The Biba Experience). 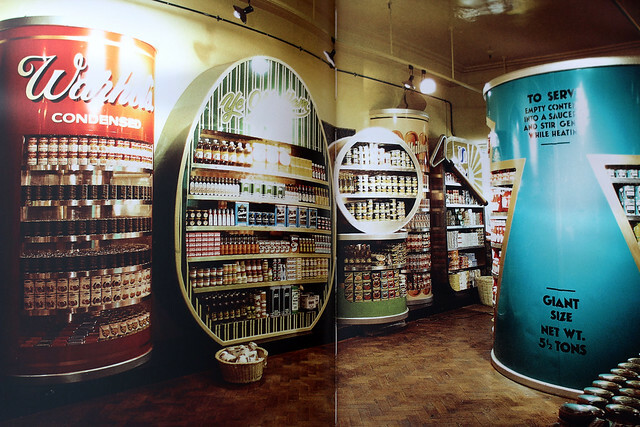 From a start as a small mail-order clothing company, by the 70s Biba’s product range included not only clothing for women, men and children, but a whole range of other supplies including home furnishings and food. 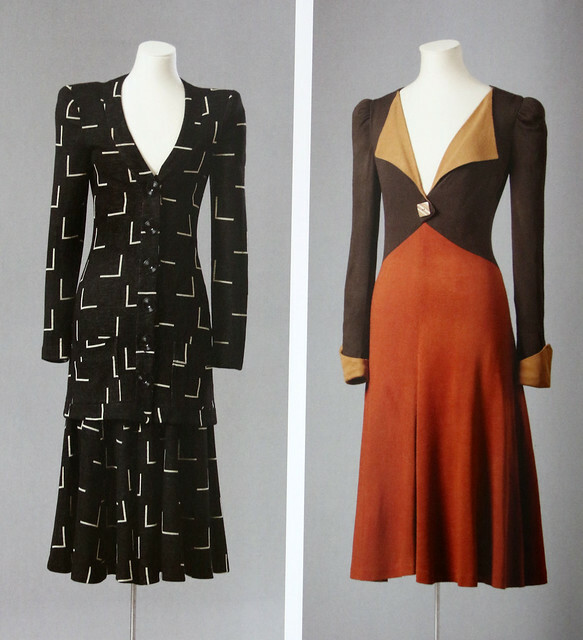 There are also some Biba-related sewing patterns. Barbara Hulanicki drew the cover art for some Le-Roy sewing patterns (e.g. 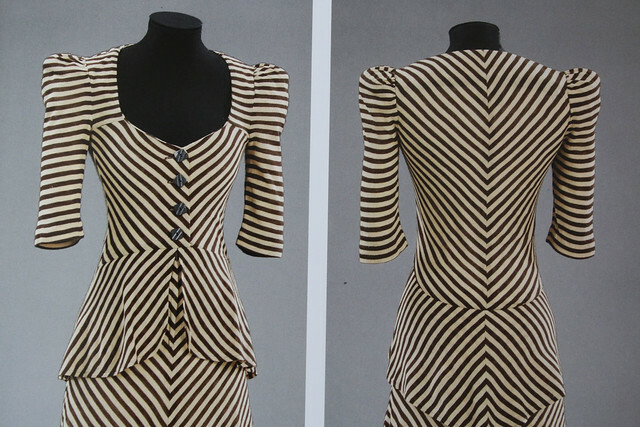 le-roy 3150, 3051, 3056), and McCall’s released a handful of patterns based on popular Biba designs (e.g. McCall’s 2725, 2747). I’d love to track them down at some point. 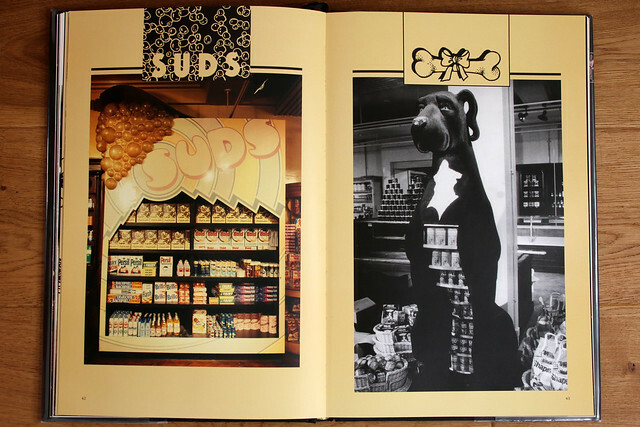 The photos of Big Biba show a totally unique shop. 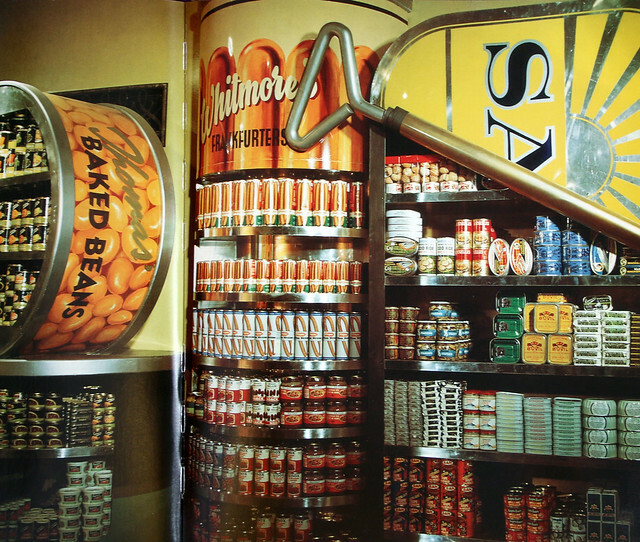 Sadly it closed in 1975, although I believe the roof garden (now private) is still there. 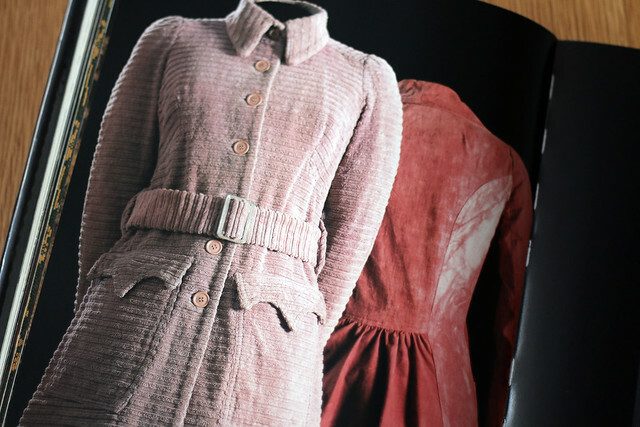 One of these days I’ll get around to sewing a Biba-inspired outfit, and to knitting some of the patterns from the winter issue of Pom Pom. 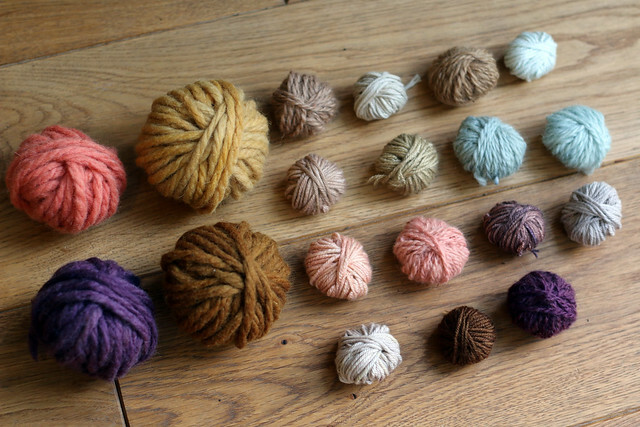 I might start with Nield, which is knit in a nice chunky worsted and has a lovely cable pattern. I’m lucky to be able to take two weeks off work over Christmas, but it always goes really quickly, so before I go back to work – and back to normal – tomorrow I thought it would be good to do a wrap-up of 2015. 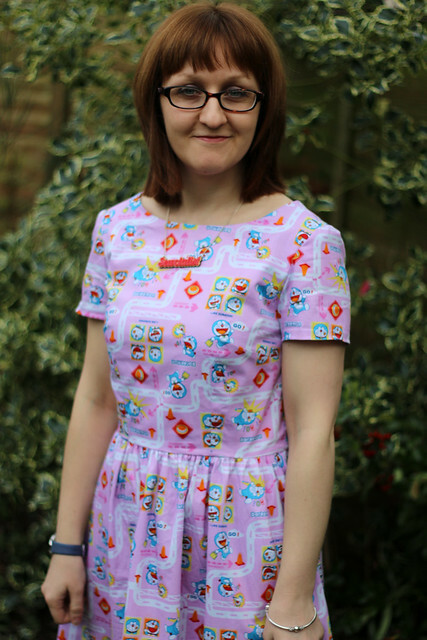 During 2015 I managed to complete all of the sewing projects below, which are also listed on my My Makes page, plus a number of projects I am yet to blog. I learned to knit over Christmas 2013, but this year knitting became something I do daily (on my commute to work) for the first time. Because of this I now knit as often as I sew and love it (probably) equally. 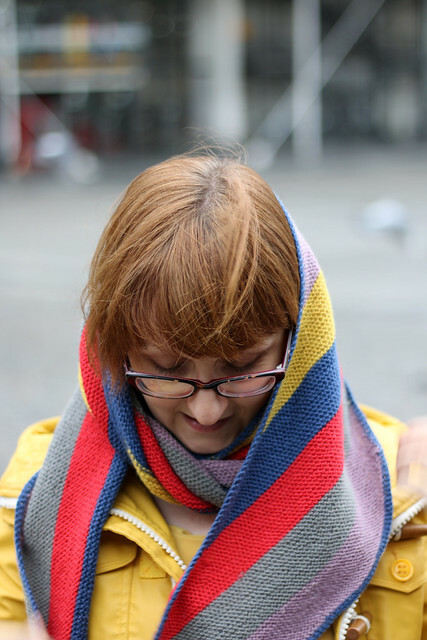 I also started to feel like a ‘knitter’ (e.g. like I knew what I was doing) for the first time, rather than a total beginner. A key interest for me in 2015 was my Naturally Dyed Wardrobe project, where I explored using natural dyes in my dressmaking. I loved experimenting with natural dyes and am planning to continue this year, both growing/foraging dye plants and using extracts. I only had limited successful growing dye plants in 2015 (my biden plants did brilliantly, but the woad was a total failure) so am planning to order seeds from Wild Colours and try again in 2016. All of my posts on the subject can be found here. 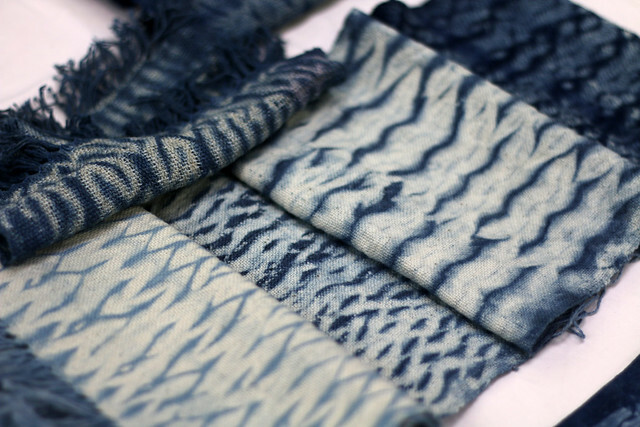 My interest in natural dyeing led me to join the Birmingham branch of the Guild of Weavers, Spinners & Dyers, become interested in weaving and spinning, and purchase my first fleece – all things I’m looking forward to exploring further this year. I’ve really enjoyed attending Guild meetings and learning loads from the other members. Birmingham also has Knitting & Crochet, and Embroiders’ guilds which I fancy joining, but may struggle to squeeze in. The other key project I participated in this year was One Year One Outfit organised by Nicki. The aim for participants was to make an outfit from local sources, I chose to use British fibres, rather than limiting myself to a section of the country. It was fascinating to explore what is produced in the UK, and to generally learn more about production processes. 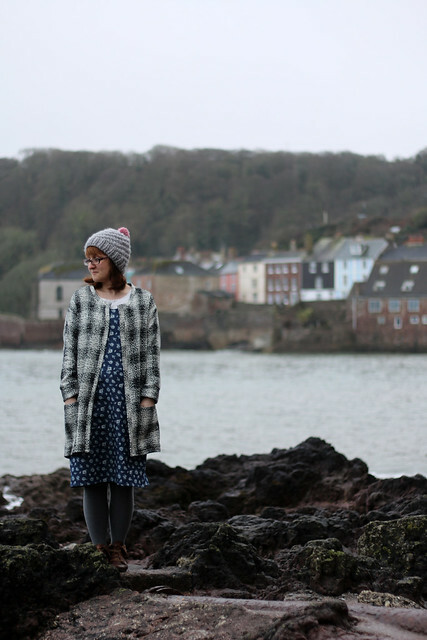 All of my blogged #1year1outfit makes can be found here, and I’ll do a wrap up later this month as I have a couple more to share. 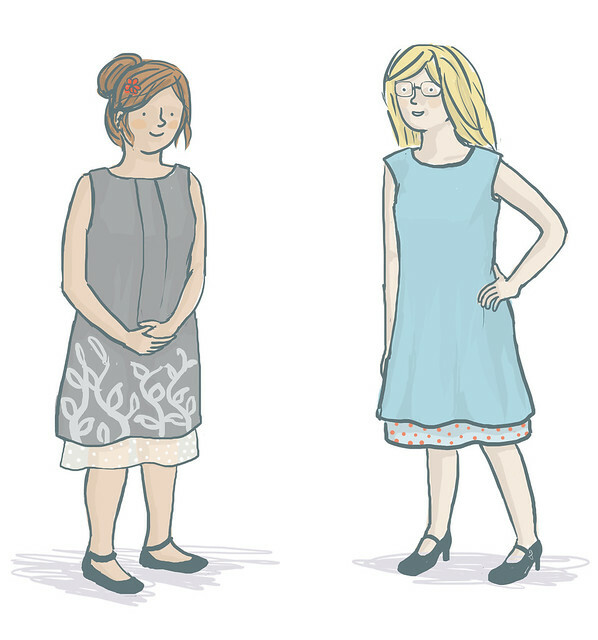 I’m already signed up to participate in One Year One Outfit again in 2016 (sign-up is here), and, as a result of taking part, have generally become obsessed with British fibres in my sewing and knitting. 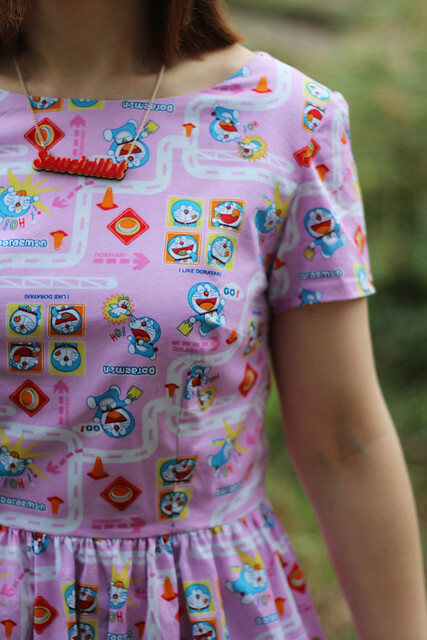 I released my first sewing pattern, the Lou Lou Dress, and a Sewcialist necklace with local artist Working Clasp. 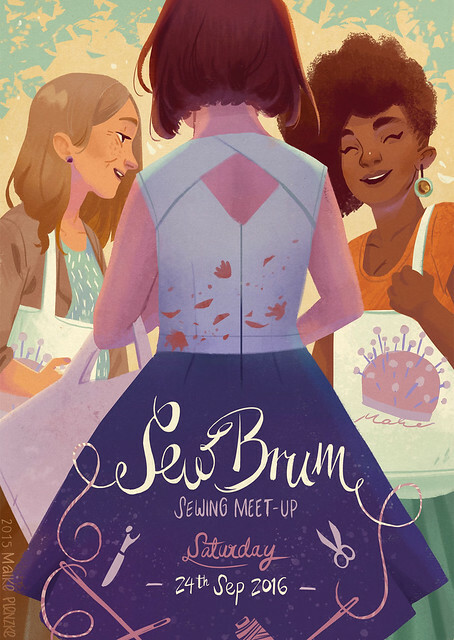 I organised the second SewBrum meet-up which took place in October (on Halloween in fact), was attended by around 100 attendees, and raised £554 for the Made Up Initiative. 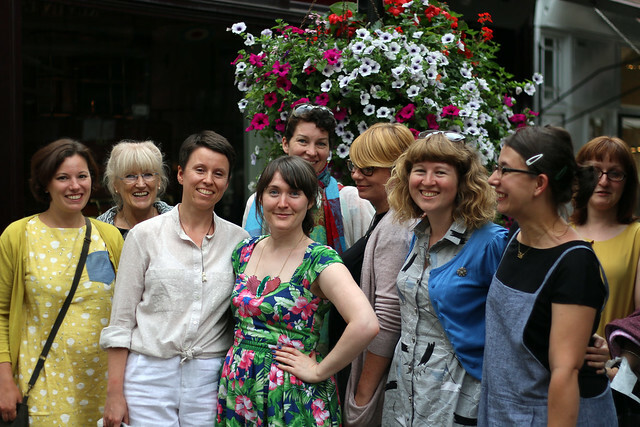 I also got the chance to attend a couple of London meet-ups, including The Foldline launch party and meeting Nicki and Ute during their visit to the UK, and attended the latest #CCBloggers meet-up in Derby. Me and Phil travelled to Paris, Berlin, Copenhagen, Bruges, and Brussels, plus I briefly visited Amsterdam for work. We’ve booked to visit Reykjavik, New York and Boston in March 2016, which I’m really looking forward to. 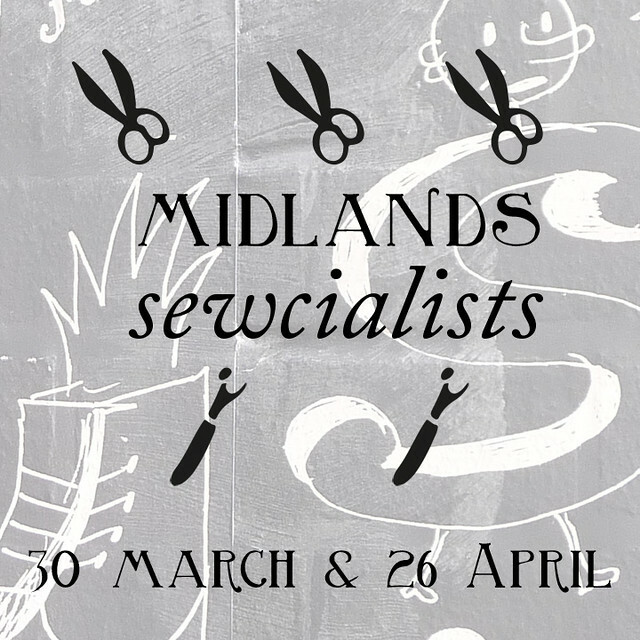 I’ve started planning the trip by reading Seamwork articles, blog posts and guidebooks, but if you have any recommendations or would be free to meet-up do let me know. 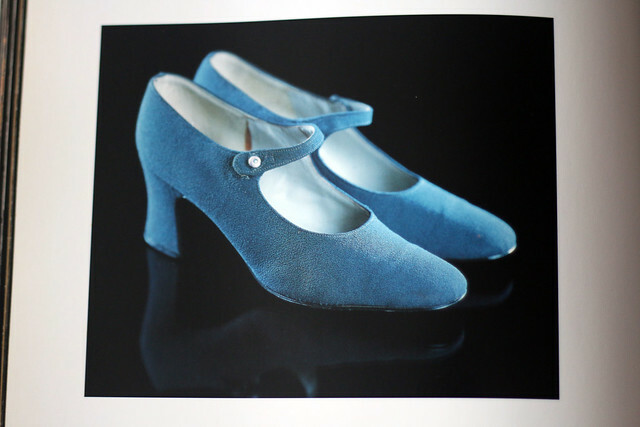 In 2015 I had two articles published in Seamwork Magazine, with two more already in the works for this year. In keeping with my interest in British fibres these were profiles of TOFT yarn company (article here) and Cluny Lace (article here). 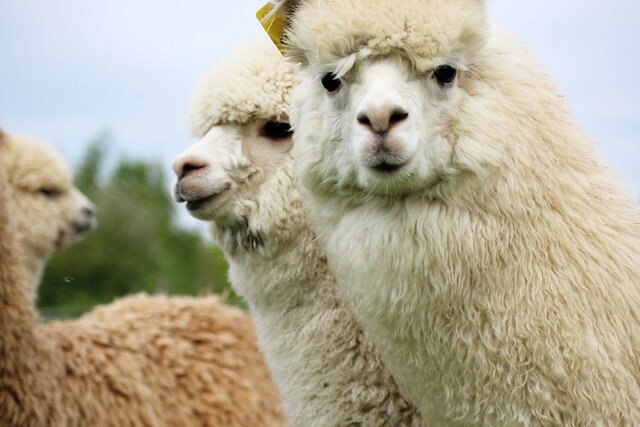 Photographing alpaca in the sun at TOFT was one of the most enjoyable days of the year. In 2015 I also basically stopped buying RTW (although I still have plenty in my wardrobe as my clothes typically last me years, plus I received clothes off family as gifts). I never particularly made a conscious decision to do so, I’ve just reached the point where I feel capable of making most of the clothes I need. I still enjoy going clothes ‘shopping’ but now it’s more with an eye to future sewing projects, or for Phil as I’m never going to have time to sew his clothes too. Huge thanks for reading, commenting & following. As much as I enjoy sewing/knitting/blogging for their own sakes I also do them because I love being part of this community. 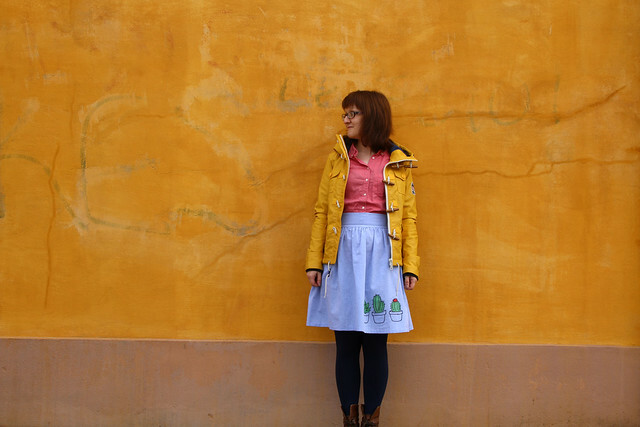 I follow over 400 blogs (I think – is it just me or it had to see the total number in Bloglovin’?) and even more instagram accounts & love seeing what everyone is making and doing. I’m not making any specific plans for 2016, as I prefer not to plan ahead too much when it comes to my hobbies (I do enough of that at work, as a project manager). But I’m hoping for an equally varied mix of projects – plus time for my other hobbies, which include gaming, comics, and old movies. 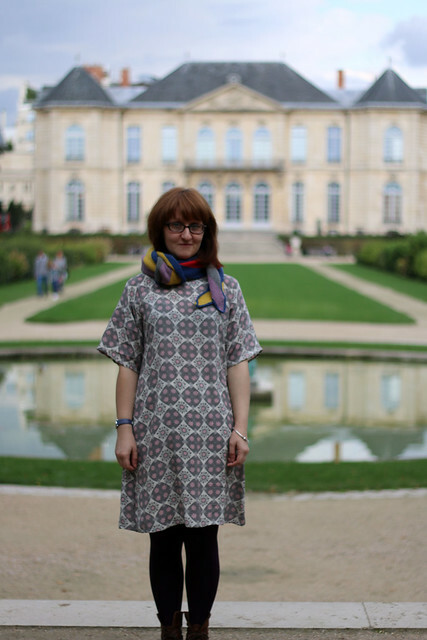 In my last post about my Linden Sweatshirt dress, you may have spotted some knitted wrist warmers. These are another knitting project which I finished during the summer, and that have been sat in a drawer waiting for winter. It’s pretty mild in the UK (at the moment) but I made good use of these during my recent holiday in Belgium. They are photographed in Brussels Park, where I previously photographed my first Linden last year. 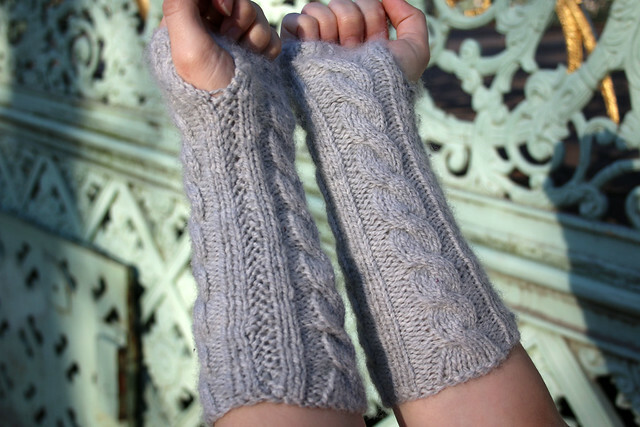 The pattern is TOFT’s free Cable Wristwarmers pattern. 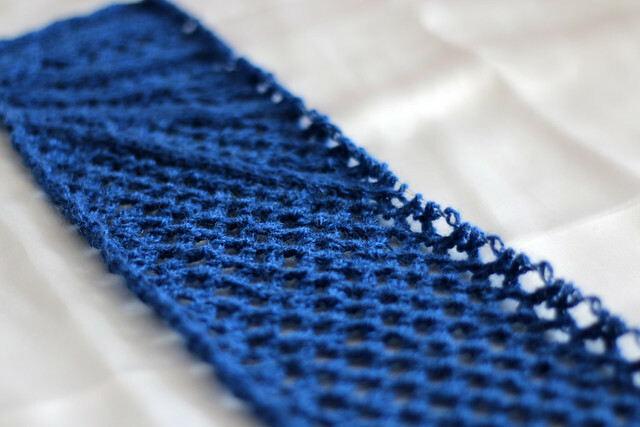 This was my first attempt at cables and it’s a nice easy pattern to practice cables on if you haven’t attempted them before (spoiler for newbie knitters: cables are really easy). 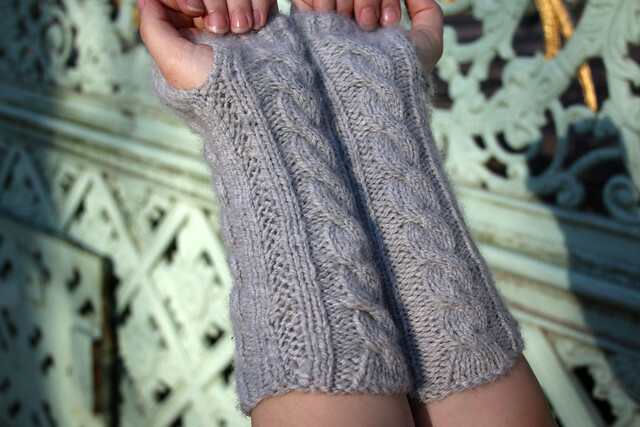 The pattern is knitted flat and seamed along one side, with a gap left for the thumb. They are a quick make if you’re still looking for fast Christmas gift knits. I used the recommended yarn, TOFT’s DK yarn in Silver. I used approximately half to three quarters of a ball for these wristwarmers, so I have a little left over for a future project. 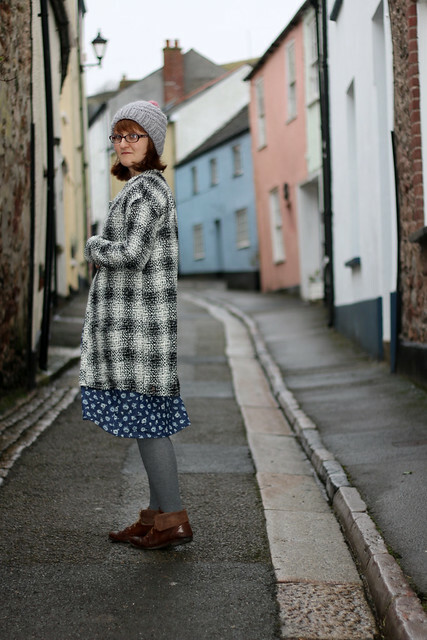 I actually bought the yarn from TOFT’s farm shop when I was there interviewing owner Kerry for an article for Seamwork Magazine. Having worn these a fair bit over the last few weeks (and also lugged them around in my handbag) they now have a slight fuzzy halo, which you can just make out in the photos. As a result they are likely to pill over time, due to being a very soft wool. This is my second time using TOFT’s DK yarn (I previously made socks and later dyed them) and I’d strongly recommend it. 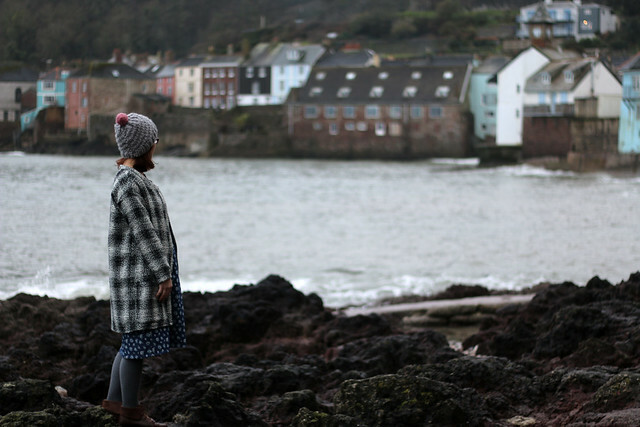 It’s lovely to work with and is 100% British, being made with British wool, processed by the Natural Fibre Company in Cornwall, and ending up with the TOFT team in Rugby. 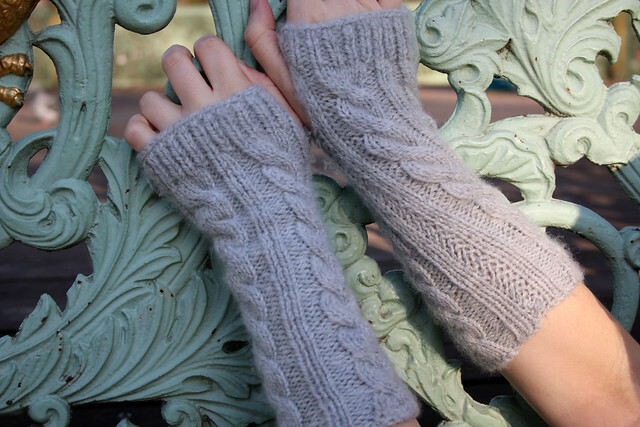 As a result, these wrist warmers count as one of my one year one outfit makes. 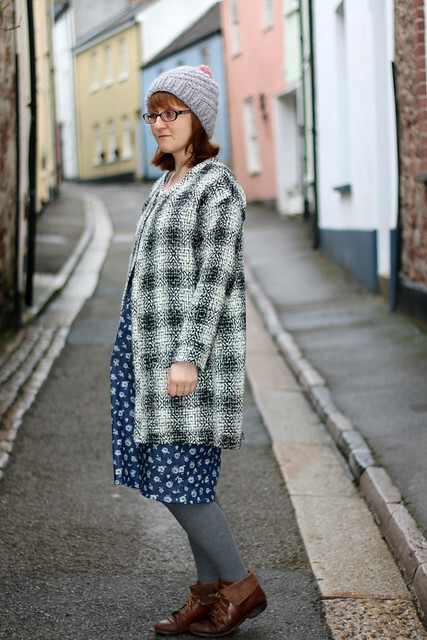 Categories: #1year1outfit, Knitting, Travel, Uncategorized | Tags: #1year1outfit, British, Brussels, cable, free, knit, knitting, TOFT, wool, wrist warmers | Permalink.